Size small inseam measures 30.5"
Get cozy in these Chicago Bears Grey Varsity Warmup Fashion Sweatpants! Whether you're relaxing watching the game or just out running errands, these Chicago Bears Fashion Sweats are the perfect way to show your Bears spirit in comfort and style. 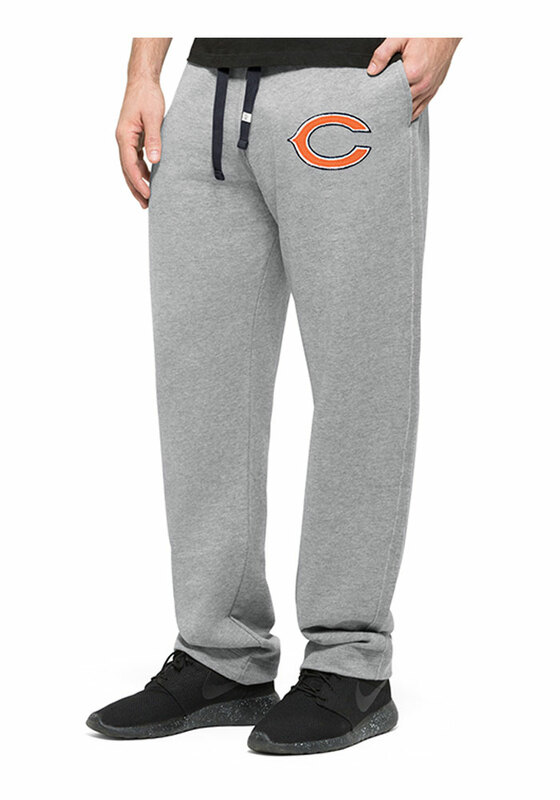 These Chicago Bears Fashion Sweatpants also feature a team logo embroidered on the upper left leg. Why do you never have these navy sweat pants in 2X? Ugh! There are Michigan fans who are fit and too big for XL!